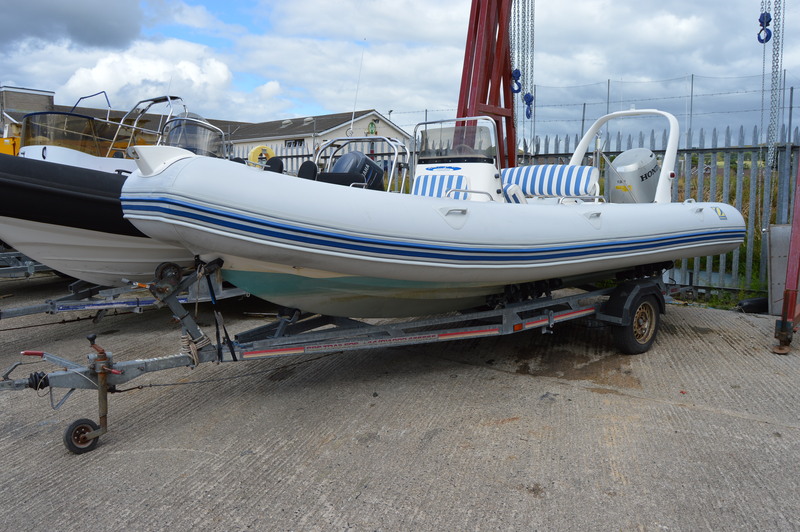 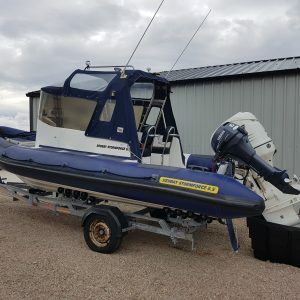 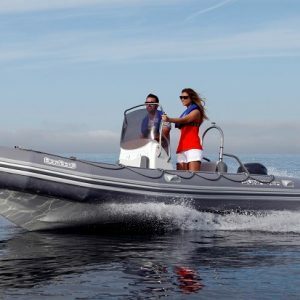 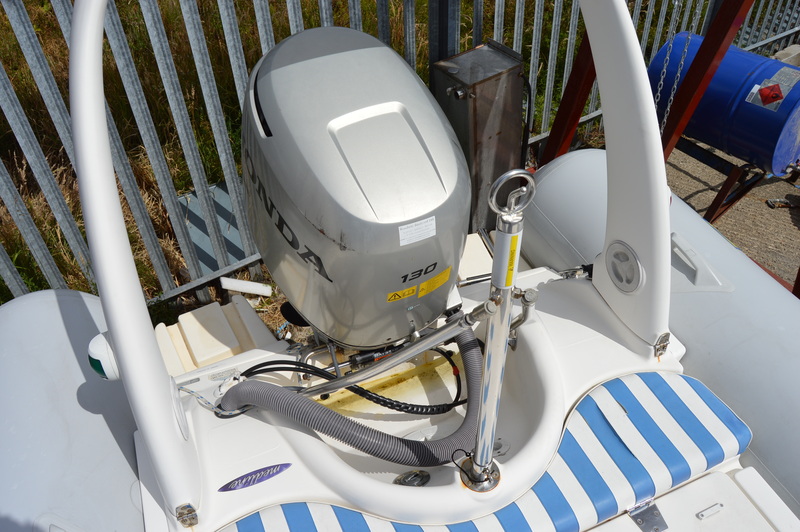 Zodiac Medline RIB with Honda 130hp outboard (2002). 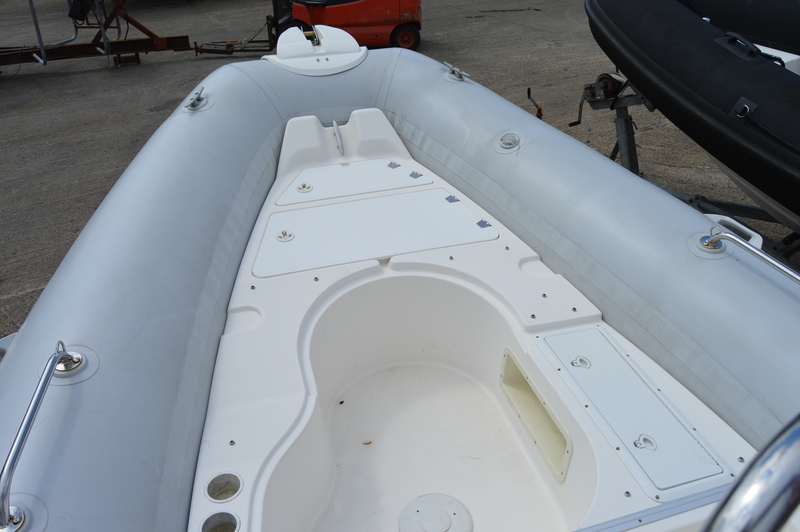 Tubes and hull are in excellent condition. 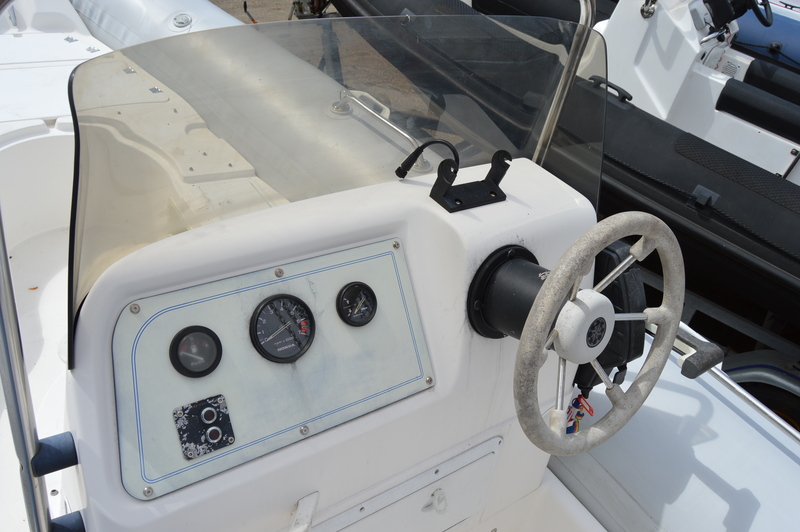 Comes with GPS Chart plotter and SBS Trailer. 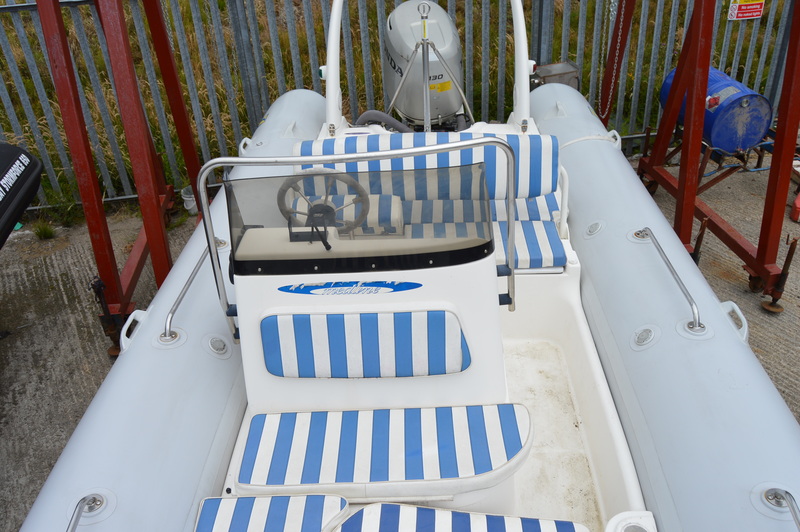 This is the perfect boat for any family looking to go RIBing this summer. 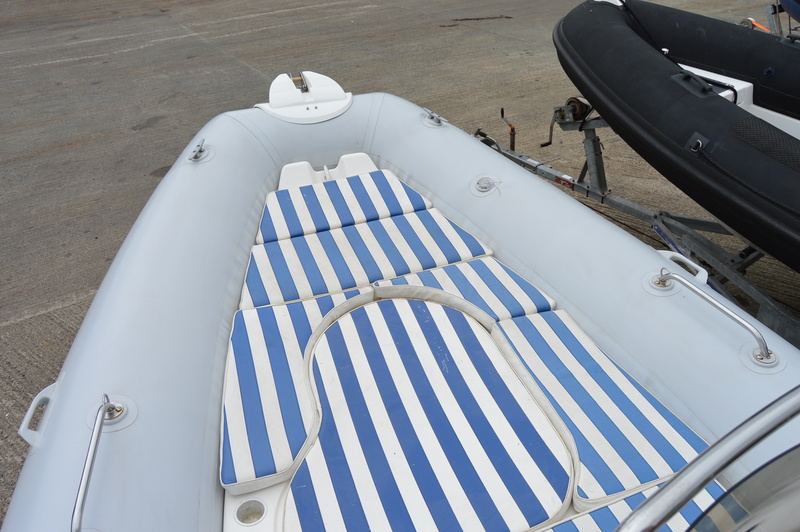 Its large bow space with ample room for beach gear and water sports toys and its water ski tow post makes it a fun craft for coastal water activities. 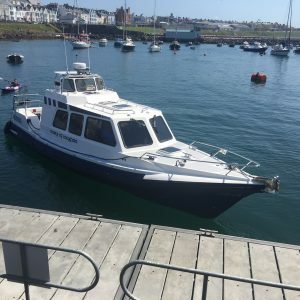 The seating arrangement comprises of a comfy two/three person bench seat at the rear with bolster driver’s seat, a padded sun deck area at the rear, a seat in front of the console and a seating area in the bow.